It is practiced in obese patients, with flaccidity, stretch marks or scars that have unsuccessfully exhausted the treatments of massages, gymnastics or diets. This surgery consists on repairing of the entire anterior abdominal wall that thus becomes tense again. This procedure consists of making a transverse incision along the lower abdomen, above the pubic area. The skin is separated from the abdominal wall, allowing the rapprochement of the abdominal muscles, which tend to be distended, achieving a reinforcement of the abdominal wall that tend to be distended and a narrowing of the waist. The points are usually internal and reabsorbable, so they do not need to be removed. Do not take drugs like aspirin and anti-inflammatories that may increase the risk of bruising. After surgery there is discomfort and tension that is controlled with the right medication. The recovery time is approximately 10 days. Strong physical exercises such as weights and sit-ups should be avoided during the first and second months, 3 weeks after surgery can be started with moderate exercises and the use of a compression strap is recommended and should be used permanently for one month. The scars can look bad during the first few months, you should wait between 9 months to 1 year for the scar to flatten and clear. Although all surgery produces pain, there is usually much less than expected, pain medications and antibiotics will be applied through the vein while hospitalization. You will be semi-seated and with your knees bent to reduce the tension in the operated area, this position should be maintained for a few more days at home, you may notice some runoff of blood and fluids through the operated area, a situation that Is completely normal for the first few days. The next morning if there is no complication, the patient can go home. During the following months it is recommended to follow a healthy lifestyle. 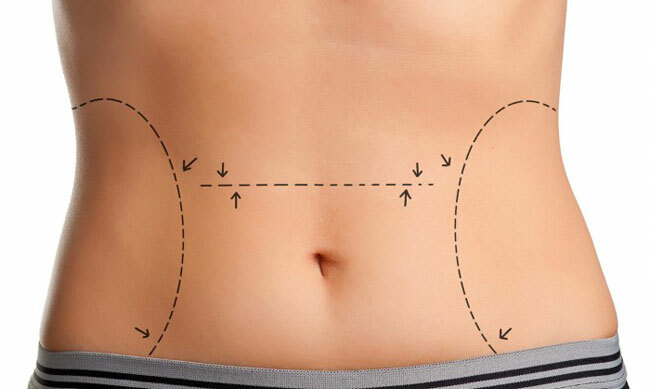 The abdominoplasty will allow the patient to have a flat and firm abdomen with immediate and long lasting results. Without the initial excess of skin and fat, you may notice a change from the first day of surgery, however you should wait a few months to see definitive results. The scars will improve over time and can be easily hidden with underwear or bathing suit.